Pop quiz!! Summer is great for . 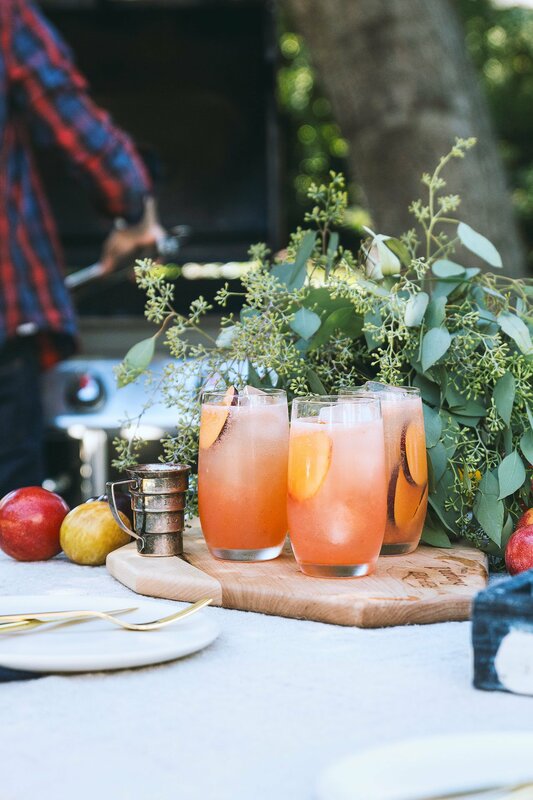 . . a) grilling b) cocktails c) spending time with friends outdoors, or d) all of the above. If you answered, ‘all of the above’ then go ahead and pat yourself on the back. While you’re at it, why don’t you pour yourself a cocktail. 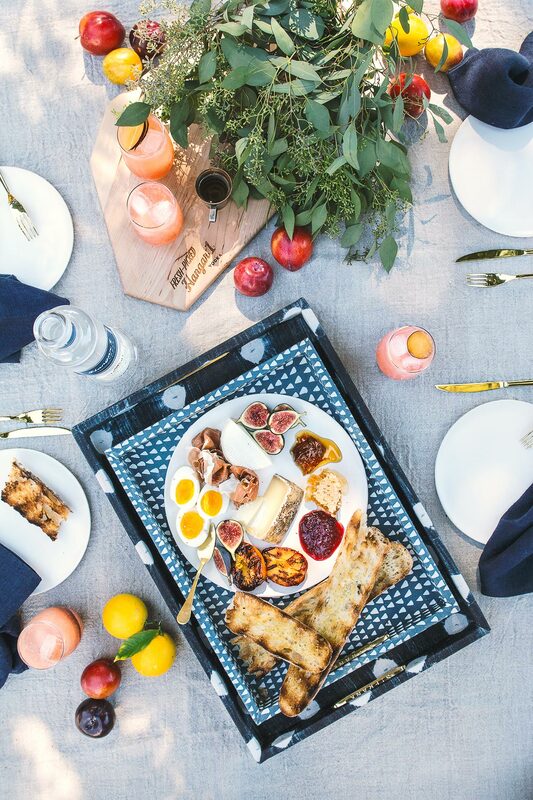 Speaking of which, today Erica and I are celebrating summer by gathering our families together for a casual brunch. 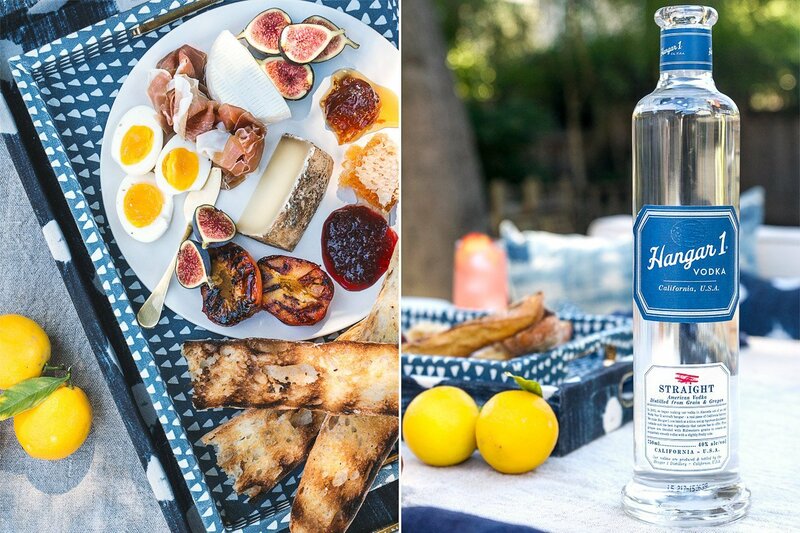 We built a simple cheese platter with grilled baguette, soft-boiled eggs, seasonal fruit, and of course, Hangar 1 cocktails! Grilled cocktails no less. After all, it is grilling season. 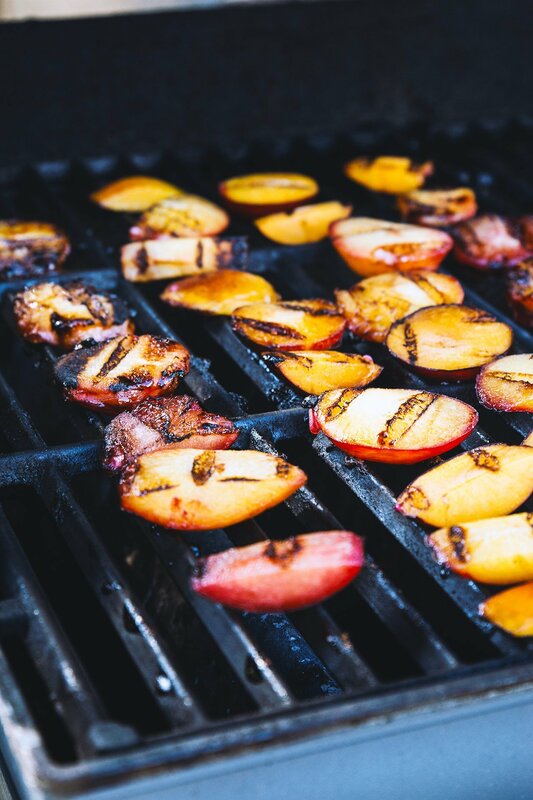 Pluots (plum + apricot hybrid) are one of my favorite fruits to grill because I feel their flavor significantly changes when charred over the hot flame. Eaten raw, pluots have a pretty intensely sweet flavor. They’re delicious, don’t get me wrong, but rather one-note. However, as often happens when something is cooked (especially grilled) the flavor deepens. In the case of pluots, a savory tanginess emerges, that when combined with the sweet caramelization of the charred fruit, makes for a truly magical combo. 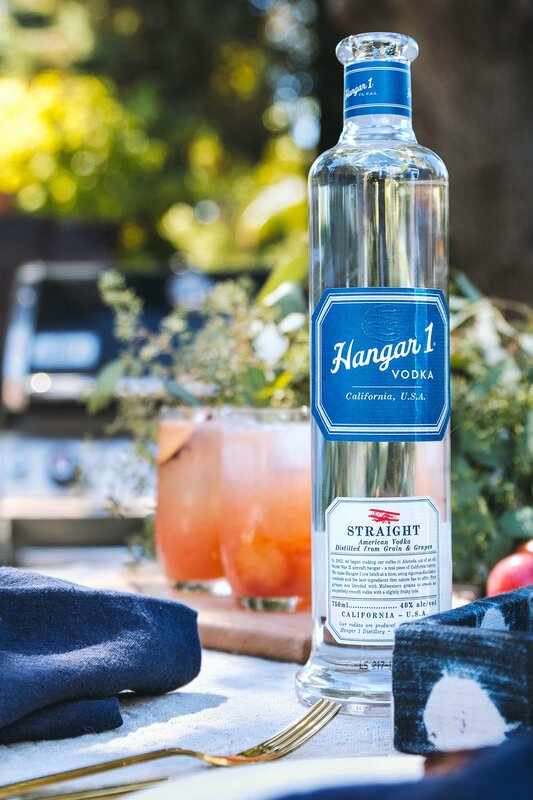 I love using Hangar 1 Straight Vodka in these situations. 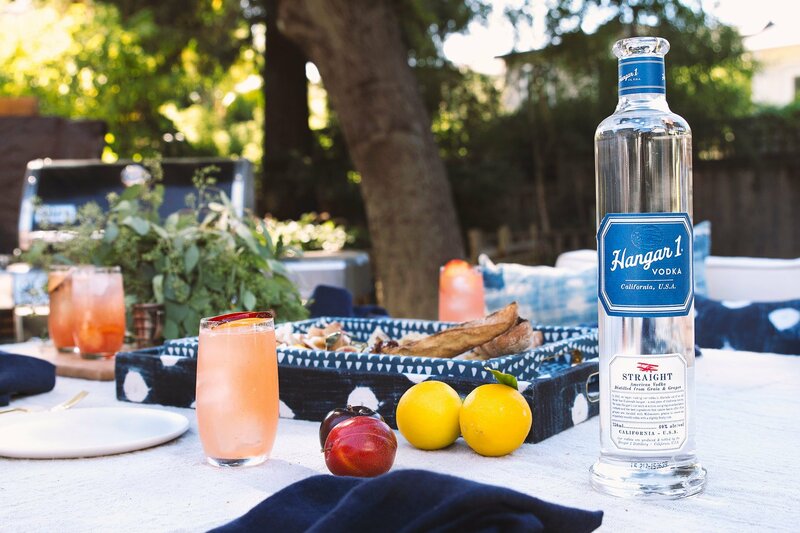 Perfectly balanced, fresh, and crisp, it’s the ideal vodka for fresh-picked, seasonal cocktails. 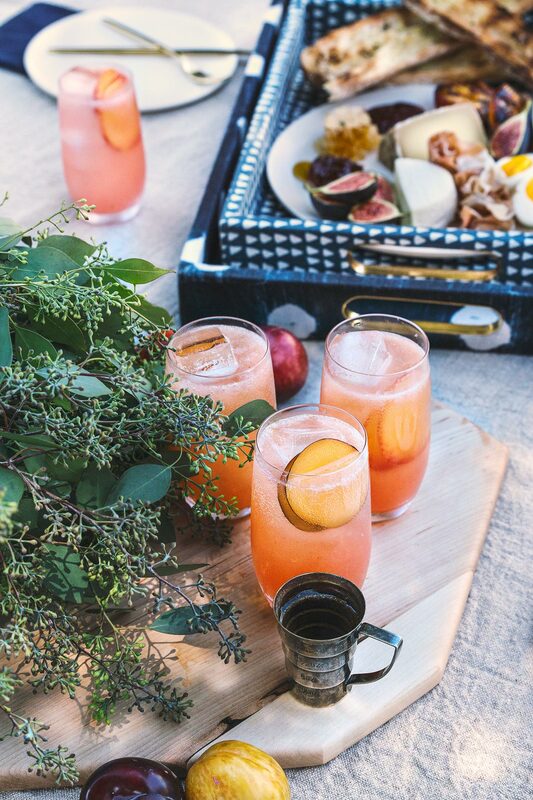 I started off the party by grilling a ton of juicy pluots – that way the drinks were flowing early. For some reason grilled fruit is always a crowd pleaser. We added a few of the extra grilled pluots to our cheese platter, because if there’s anything that’s as delicious as grilled fruit + vodka, it’s grilled fruit + cheese! Anyway, I hope you enjoy these cocktails as much as we all did. Let me know if you give them a try, and/or if you’re inspired to experiment with any other grilled fruit libations. Happy grilling! Slice pluots in half and remove the pit. Brush with honey syrup and place flesh-side-down on the grill over a medium flame. Cook until pluots soften and start to caramelize (~5 minutes). Flip to skin-side-down and cook for another 3 minutes or so. Remove from heat and let cool. 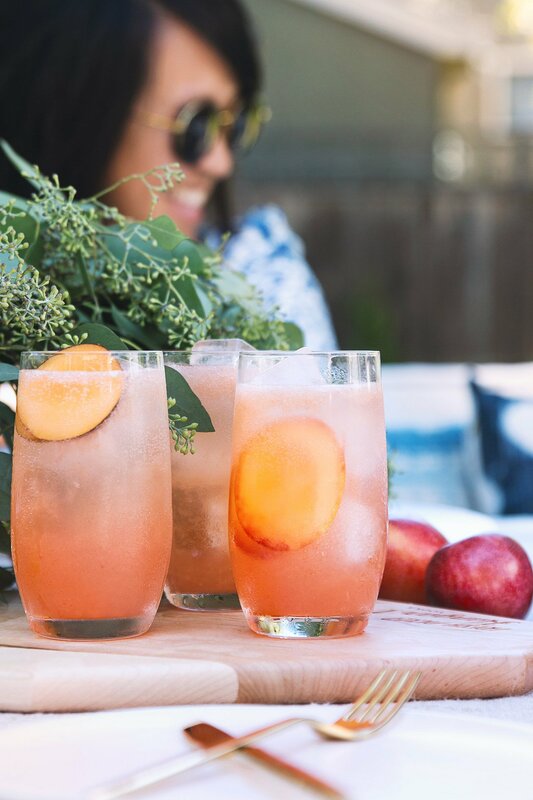 Place two grilled pluots (four grilled pluot halves) into the bottom of a mixing glass. Add the honey syrup and muddle, breaking apart the grilled pluots. Add the Meyer lemon juice, aged balsamic, Hangar 1 Straight Vodka, and shake for 10 seconds. Double strain over new ice into a highball glass and top with sparkling water. 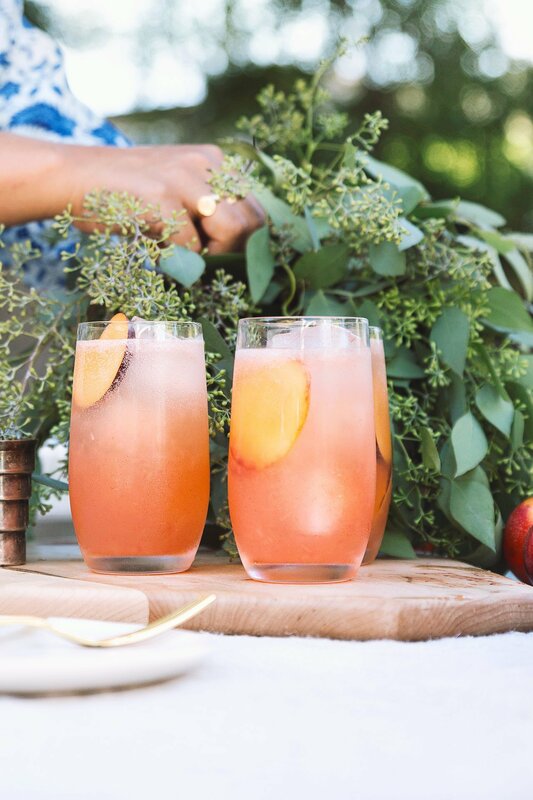 Garnish with a few fresh slices of pluot and serve! Grilled fruit in a cocktail?? I LOVE this idea! One of these days, I’m gonna have to find, then crash one of the HonestlyYum photo shoots. Grilled stone fruit? In a cocktail?! Yes please!! 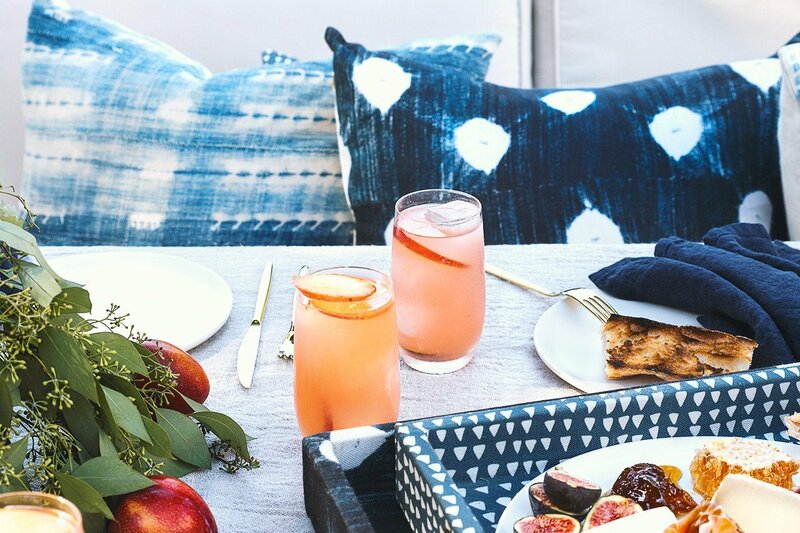 This looks just perfect for a late summer, lazy afternoon cocktail. And of course the photos are beautiful. Nicely done. 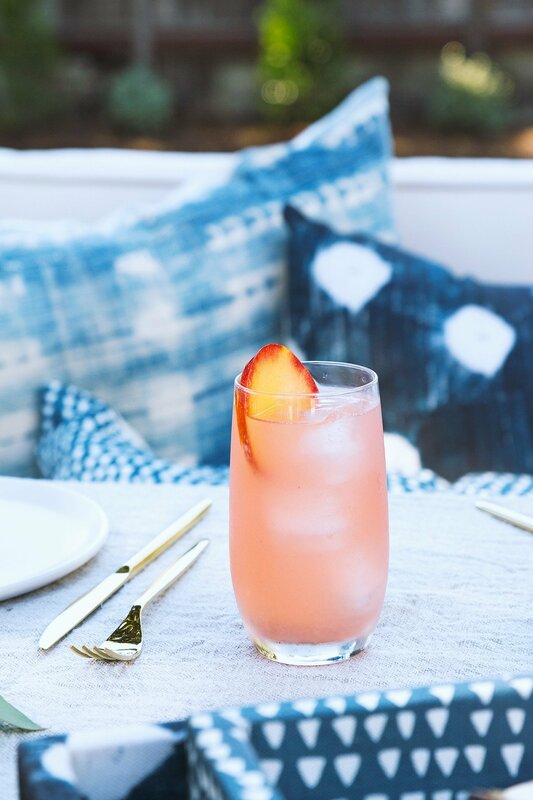 I’ve never thought to use grilled fruit in a cocktail before. It’s brilliant! 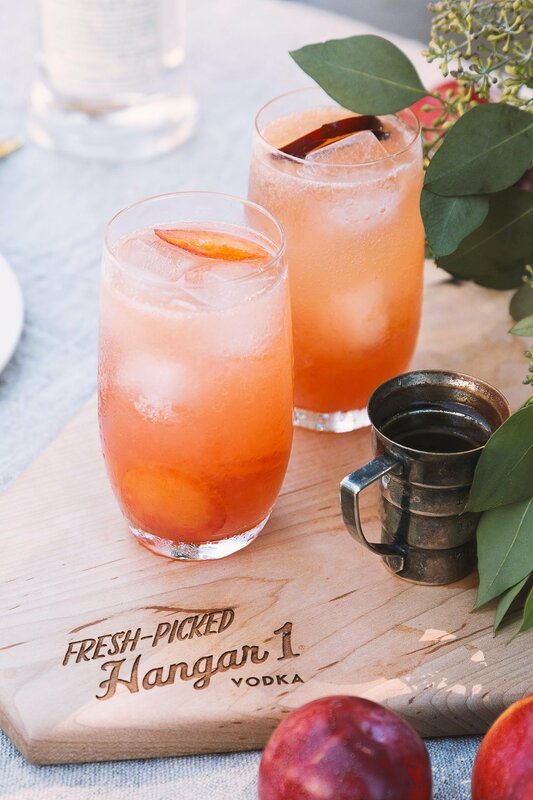 Fabulous drinks, Gorgeous photos, and a ton of inspiration, YES! Thanks for sharing, Todd, these look amazing! Wow! This is really an exciting combination! I’m definitely going to try this. 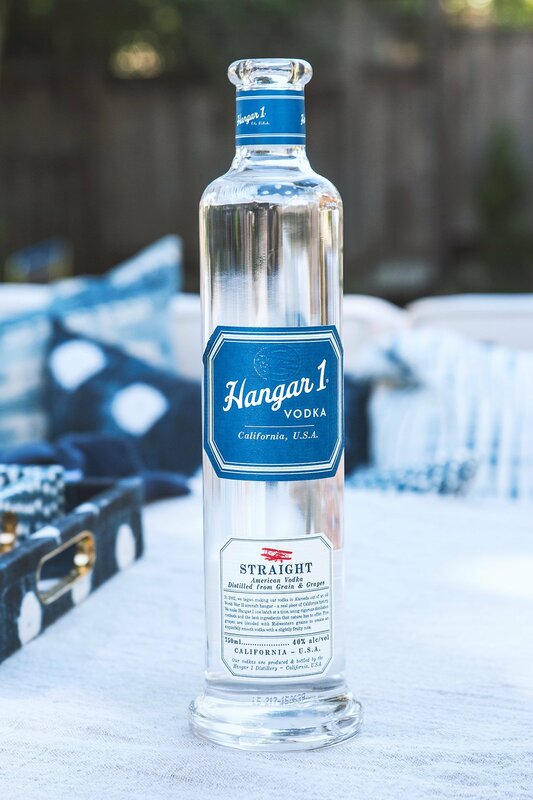 Time to restock my Hanger 1 Straight Vodka! I was reading the top of your post and was thinking how extremely cheated I was going to feel if there were no gorgeous soft boiled egg and grilled baguette cheese board photos. Way to come through Todd. 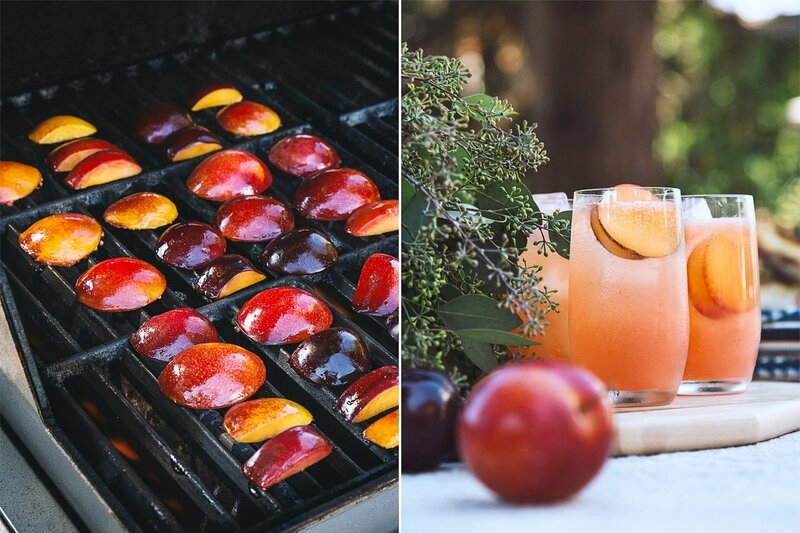 Grilled pluots?! I never would’ve thought of doing that but it sounds soooo good. Especially when turned into a vodka cocktail. Sign me up for a party like this!